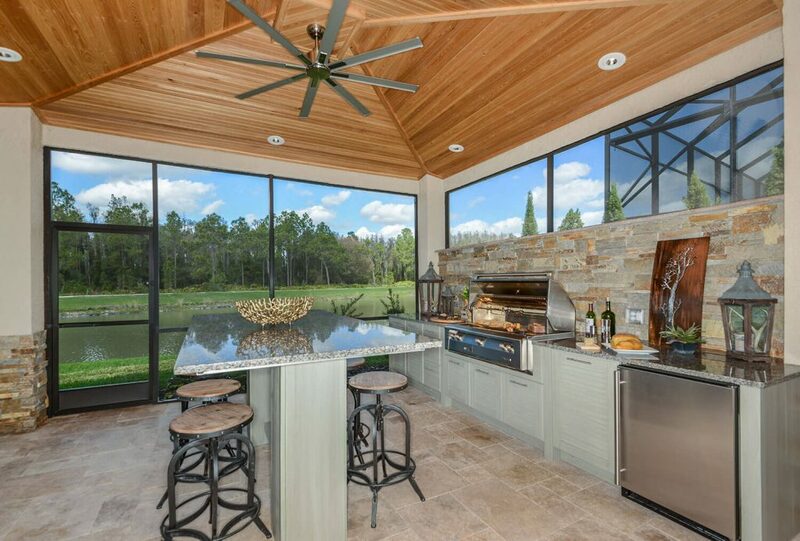 This project won first place at the 2018 Tampa Bay Parade of Homes for Best Outdoor Kitchen. Just Grillin was originally hired to build the outdoor kitchen. This client, at the beginning, had other contractors working on the roofing extension and aspects of the patio. 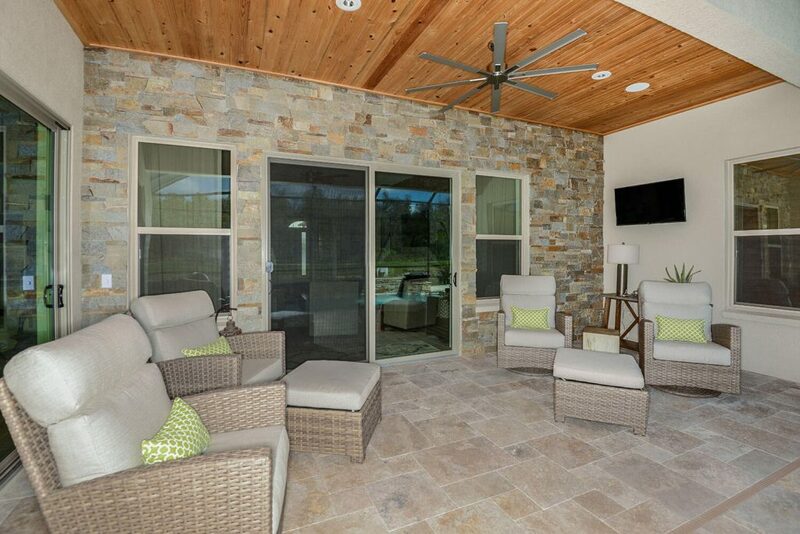 Due to reliability issues with other contractors, this client, satisfied with the great work Just Grillin was already doing, hired us to complete the roofing extension and create stone accent walls along the back patio. 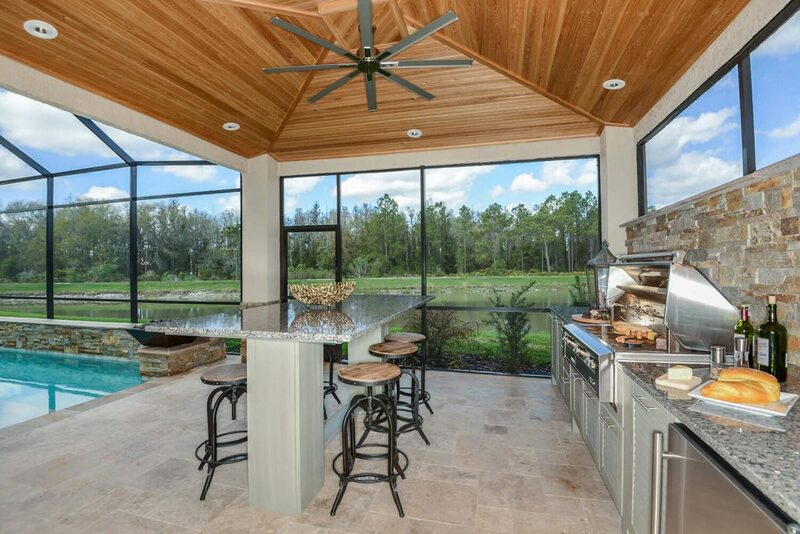 This kitchen features encapsulated polymer outdoor cabinets and a high-bar seating area with posts wrapped in the same polymer material. Just Grillin completed the kitchen, bar counter, stone accent wall in kitchen and back patio door area plus the roof extension. The kitchen features appliances from Alfresco Grills and U-Line.